There’s an icon in the lower left corner of the window. Click it to switch to the background editing mode. Drag a photo background, image, or texture into the background area to apply it. 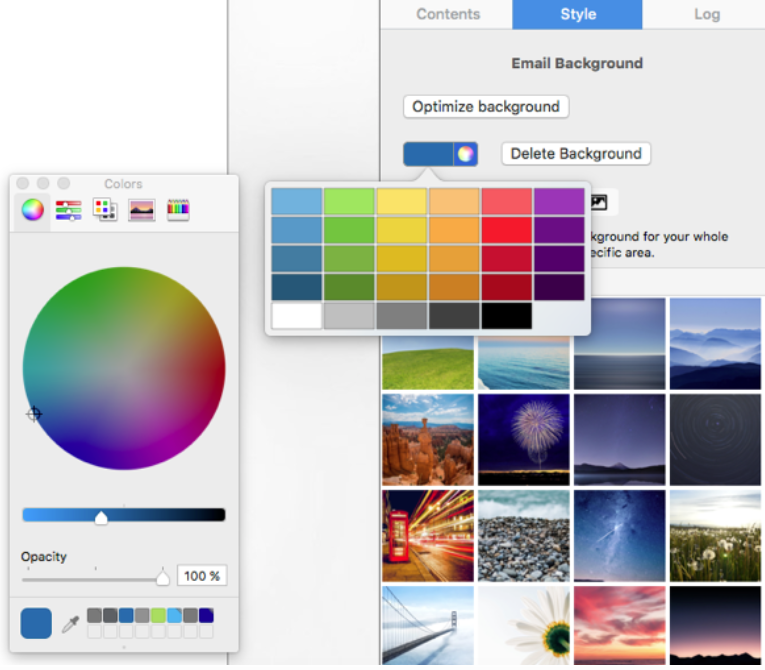 You can also open the Colors window and choose a color as your design background. Click the pipette in the ”Colors” window and pick any color form your desktop. 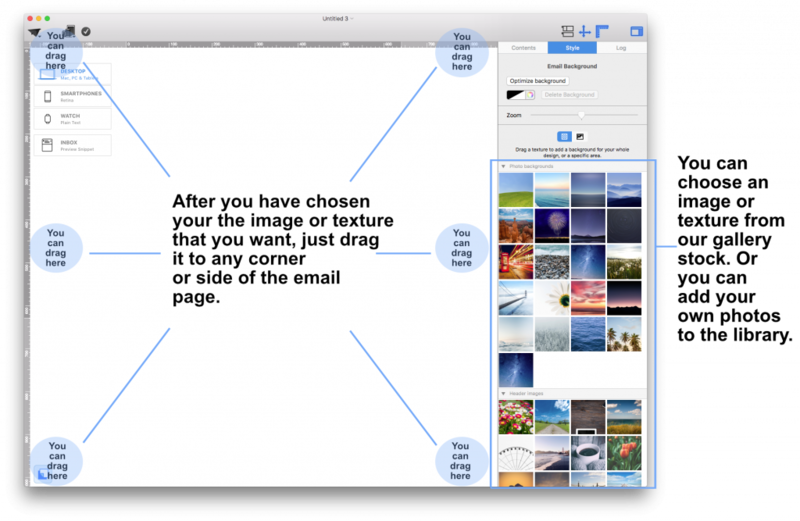 With Mail Designer 365 you have even more options: Images are great for background. 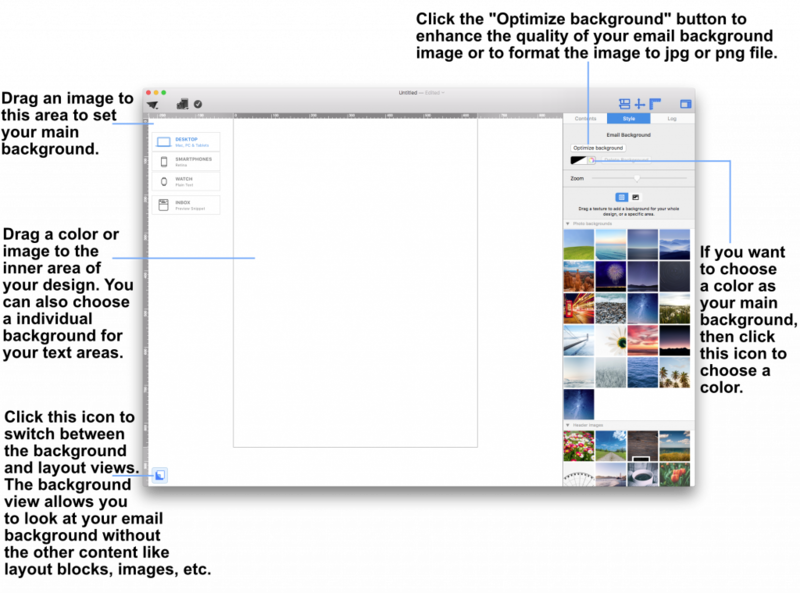 You can freely position your background image by clicking and dragging it to the place you want it to be. In this way you can make sure that the important part of the image is visible. 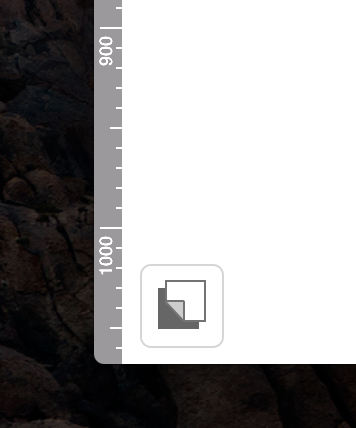 In the sidebar, you will also find a zoom slider for additional customization.